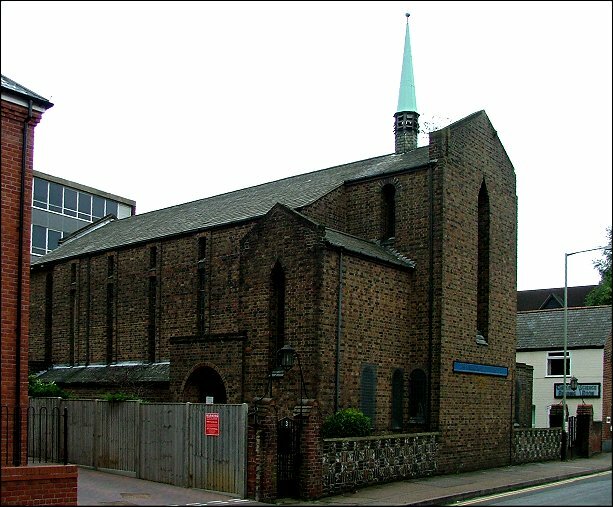 For several years the large Greek community in the Norwich area used the central reundant church of St John Maddermarket for its liturgies; but when the 1934 Church of Christ the Scientist became vacant, they bought it, and restored it as the Greek Orthodox Church of the Dormition of the Holy Mother of God. 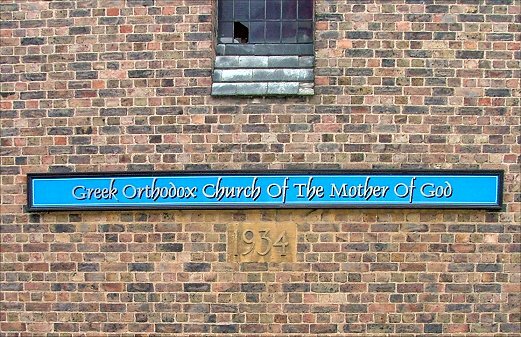 An abbreviated form of this name is emblazoned on the west front. 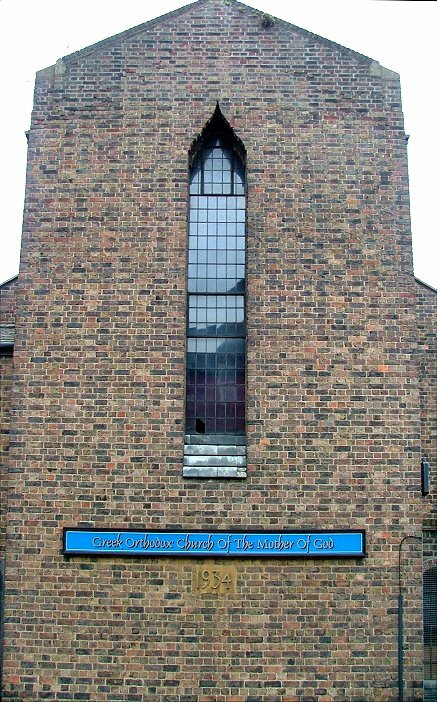 This pinkish brick building has an imposing frontage onto Recorder Road, the narrow window emphasising the bulk. This is the east end, and a green copper bell fleche sits perkily on top. The roof falls quickly away on both sides over narrow aisles, and there is a high south transept chapel with a porch tucked neatly behind it. The main entrance is actually on the north side, but otherwise the plan is conventional. Pevsner notes that the architect was Herbert Ibberson, and that there is a west gallery inside. It would be interesting to know quite how the Christian Scientists used it. To the west of the church is now an anonymous office block; but this is the site of the former Metropole theatre, and a plaque recalls that the Beatles played there at the height of their fame. It is curious to think of the excited teenagers queuing in anticipation past this church. The Christian Science reading room is still next door; but as so often one denomination has given way to another, and the cosmopolitan character of modern Norwich makes its mark, as it has done for centuries of course.